She's decorating a Christmas Tree, but what did she say made him a speechless face?? 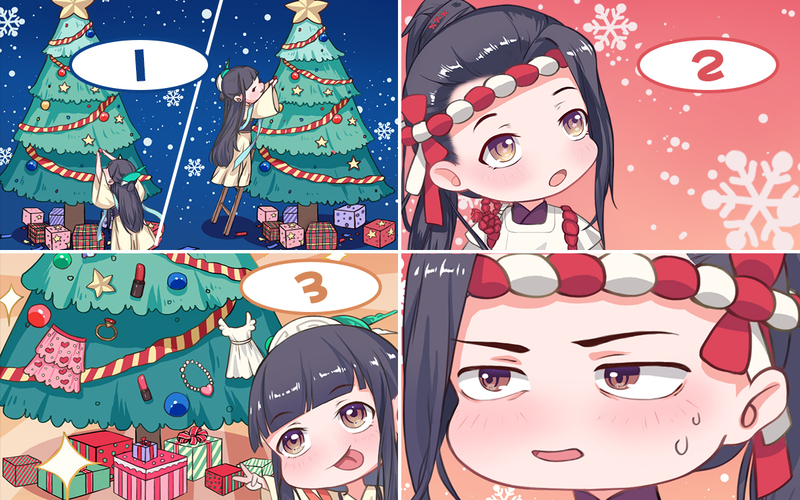 Try filling out the dialogues in the 4-koma below. Chance to win a Christmas gift for you. I will announce the winners on 12.27 and send the prize via in-game mailbox within 5 working days.